Earlier this year my History of Exorcism in Catholic Christianity was published in Palgrave MacMillan’s Historical Studies in Witchcraft and Magic series, the first ever complete history of the rite of exorcism in English. One aspect of exorcism I addressed there was its intimate relationship with ritual magic. It is difficult to overstate the significance of the liturgical development of exorcism to the history of western magic, especially ritual magic. Anyone who has ever looked at a medieval or early modern text of ritual magic will know that the word exorcismus or exorcizo occurs frequently, signalling the magician’s banishment of unwanted spirits once they have been summoned and have performed the magician’s bidding. Furthermore, it is well known that the English word ‘conjurer’ is derived from the Latin coniurator, a synonym for ‘exorcist’. Until the seventeenth century, church-sanctioned exorcists were interchangeably referred to as conjurers. Ironically, however, exorcism was seen by many in the church as a remedy against magic, and as a consequence the link between magic and exorcism has all but vanished from popular perception of exorcists. Popular culture tends to portray exorcists as akin to witchfinders and inquisitors; they are enforcers of spiritual order rather than transgressors of spiritual boundaries. Yet in Catholic countries, until the eighteenth century, the line between the exorcist and the magician was frequently blurred or non-existent. Exorcism can with some justification be described as the foremost ‘Christian’ element within western magic, along with the ‘Arabic’ tradition of astral magic and the ‘Jewish’ tradition of Solomonic spirit conjuration. However, whereas the textual traditions of astral and Solomonic magic have been extensively studied by scholars of magic from the nineteenth century onwards, the textual tradition of exorcism has been neglected. The interconnections between official liturgies of exorcism and unofficial magical practices have consequently been missed. Yet in Catholic countries exorcism manuals were widely used in magic as soon as they became available in print, and Owen Davies has described them as ‘the most influential occult products of the print age’. Exorcism is one of the most ancient of all Christian practices – and possibly the most ancient of all, if we accept the consensus of most biblical scholars that Mark’s Gospel represents the earliest version of the story of Jesus. Mark’s Jesus does more dispossessing of the demonically possessed than any other activity, although whether what Jesus does can be described as ‘exorcism’ is more controversial. It was only when the followers of Jesus began casting out demons ‘in the name of Jesus’ that exorcism in the proper sense began, because the root of the Latin word exorcizo is the Greek exorkizō, ‘to swear an oath’. In other words, exorcism proper involves drawing on the power of a name to compel a spirit to obey – and according to Mark’s Gospel, the spirits obey Jesus because of who he is rather than because of the words he speaks. It is impossible to know with certainty when Christian traditions of exorcism diverged from Jewish ones, but it seems highly likely that early Christian exorcisms were spontaneous, extempore and charismatic, accompanied by the expectation that any faithful Christian could exercise this ministry. 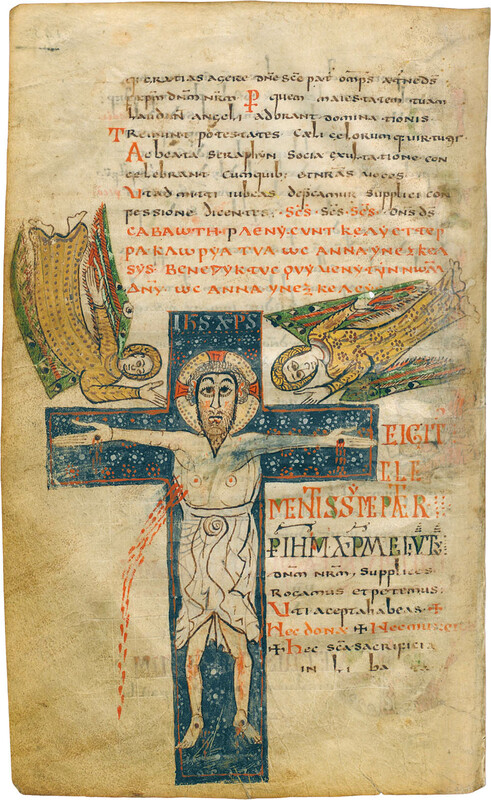 Liturgical exorcism, whose existence was crucial for the incorporation of Christian exorcism into magical texts, was a later development and originated in rites of baptism. From around the third century CE the Church of Rome seems to have adopted (possibly from North Africa) the view that candidates for baptism (catechumens) needed to be exorcized from possible demonic influence before they could be baptized. Because baptism was a frequent occurrence, liturgies of baptism soon developed to guide the complex ceremony, and the earliest to survive is known as Ordo Romanus XI, dating from the late sixth century. Ordo Romanus XI introduces familiar elements of exorcism to the ceremony of baptism such as insults hurled at Satan by the baptizer, as well as the casting out of the devil: ‘Hear, accursed Satan, adjured by the name of the eternal God and our Saviour, the Son of God, depart having been defeated, trembling and groaning, with your envy’. This does not mean that early Christians thought that catechumens as literally possessed by the devil; the rite can instead be interpreted as a transition from the power of the devil (paganism) to the dominion of Christ (Christianity). Incorporation of liturgical exorcisms into rites of baptism soon led to the adoption of similar liturgical forms for exorcism of energumens, individuals who were thought to suffer possession after baptism. The earliest surviving rite of exorcism for energumens can be found in the Carolingian Gellone Sacramentary, a compendium of sacramental rites compiled at the Abbey of Gellone (Saint-Guillaume-le-Desert) in the south of France in the late eighth century. This does not mean that rites did not exist before this, and the Council of Carthage (398) noted that every exorcist should be equipped with a ‘little book’ (libellus). Sadly none of these survive. From the eighth century onwards, it became standard in western Christendom for the rite of exorcism of energumens to be included in pontificals (comprehensive collections of liturgical ceremonies), a practice that continued throughout the Middle Ages. Pontificals were immensely valuable and time-consuming to produce and they were generally owned only by monasteries and cathedrals. The advent of itinerant clergy in the thirteenth century, in the form of the Franciscan and Dominican friars, created a demand for small, portable books containing individual ceremonies, including exorcism. The appearance of the friars also coincided with the church’s fight against the Cathars in the Pyrenées, with their heretical ideas about evil and the devil. A more fully developed demonology – and more use of exorcism – became necessary in order to guard against the Cathar heresy that the devil has god-like power. However, as soon as liturgies of exorcism became more widely available to the clergy they began to be used for purposes other than the original intention of casting the devil out of energumens. Liturgies of exorcism held out the possibility that there was a form of words for binding the devil to answer questions as well as a means of forcing him to depart, and the liturgy of exorcism soon became a staple of medieval necromancy (ritual magic). Perhaps the most egregious example is the Munich Handbook (circa 1400), which reproduces the words of the exorcism in the pontificals almost word for word in an experiment to conjure a mirage of Satan. Because the pontificals were manuscript productions that followed local traditions, each one usually contained minor variations and the liturgy of exorcism was especially fluid. This remained the case once exorcisms began to appear in print (the first was in 1500). At this point anyone in exorcist’s orders was permitted to exorcize – but the Order of Exorcist was one of the lowest in the clergy, above only Porter and Lector, and therefore a large number of barely educated men who were neither deacons nor priests could still claim to be legitimate exorcists. Furthermore, earlier traditions of charismatic exorcism – by women as well as men – had never quite died out in the Middle Ages. Exorcism was considered by theologians to be a sacramental rather than a sacrament, which meant that its effectiveness was not automatic but dependent instead on the worthiness of the exorcist. One effect of this teaching in the print age was that exorcists competed to produce ever more forceful and powerful exorcisms. The sixteenth century witnessed a ‘supernatural arms race’ between Catholic religious orders in the creation of exorcisms, resulting in such productions as the Exorcismarium (1639) of Hilario Nicuesa, which features exorcisms suitable for every feast day and liturgical season. However, one exorcist was prepared to go further than anyone to make his exorcisms ‘most powerful and efficacious’. The Franciscan friar Girolamo Menghi (1529–1609) openly drew on folk-magical practices to banish the devil and curses, such as drawing images of devils and burning them to release someone from a curse (a borrowing from sympathetic magic). In works such as the Flagellum daemonum (‘Scourge of Demons’) he advocated the use of carefully chosen suffumigations and even the ingestion of ‘holy potions’ to banish the devil. Rome made several attempts to standardise rites of exorcism, issuing an official rite in 1614, but local practices persisted, often promoted by the Franciscans who employed Menghi’s techniques or by Jesuits who felt that the relics of their own order’s saints were more effective than the official liturgy. Eventually, in 1704, the works of Menghi and other exorcists were placed on the Index of Prohibited Books and exorcists were confined (at least in theory) to using the liturgy prescribed by Rome, but such rules were often disregarded in remote mission territories in the New World. In Brazil, the Caribbean and the southern territories of New France (Louisiana), the ongoing popularity of Menghi-style exorcisms merged with the indigenous beliefs of slaves to produce the religions of Umbanda and Voodoo. Practitioners of these religions are as much the inheritors of the ancient tradition of Christian exorcism as the carefully controlled exorcists of the Roman Catholic Church. Pingback: Essay on the Relationship Between Exorcism and Ritual Magic – Zero Equals Two! Thank you for an informative article, but I do have some contentions, as I believe there is some unnecessary conflation between exorcisms within the apostolic tradition, and derivations of them by with external elements. You say that practitioners of Umbanda and Voodoo are “as much the inheritors of the ancient tradition of Christian exorcism as the carefully controlled exorcists of the Roman Catholic Church” but this is inaccurate. What they practice (as you have shown) is a bastardized form of exorcism clearly outside the apostolic tradition. I get that you with to draw parallels between them and the earlier “charismatic” exorcisms of the first Christians (which you admit is only speculation on your part), but they were using Christ’s name as a means of expelling demons, not combining it with any popular occult practices (they would be hesitant to do so, following the clear distinction between the divine and the Occult as shown in the New Testament). With this in mind, and the fact that the Church hierarchy never approved of these popular superstitions which abuses the proper rites of exorcism, the division between exorcist and magician is much clearer then you state. As for Girolamo Menghi, he clearly drew to much on popular superstitions to be considered a proper exorcist, despite his office, as his writing clearly fell outside of tradition as defined by the hierarchy and the boundaries of the apostolic tradition. This entry was posted on August 12, 2016 by jacobite.